There are lots of exciting Silver Arrow projects in the studio at the moment which we will be revealing soon but for the moment here is a look at their new business cards which have just arrived. 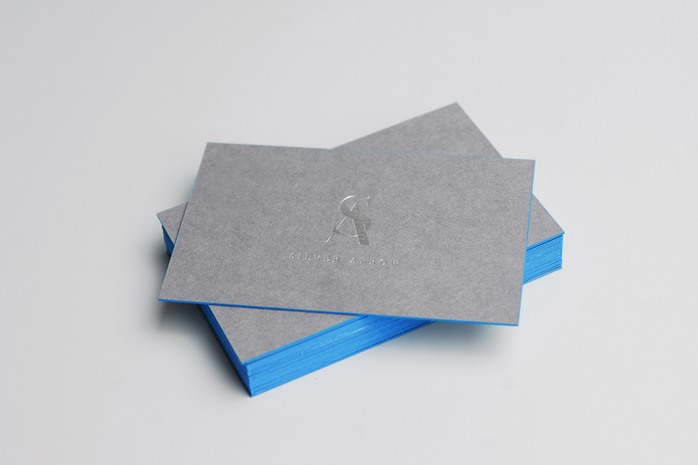 Silver Arrow don’t compromise and these cards certainly reflect that with the details foiled onto duplexed Colorplan and the edge painted with their signature pantone blue for good measure. Watch this space for more Silver Arrow updates coming soon.